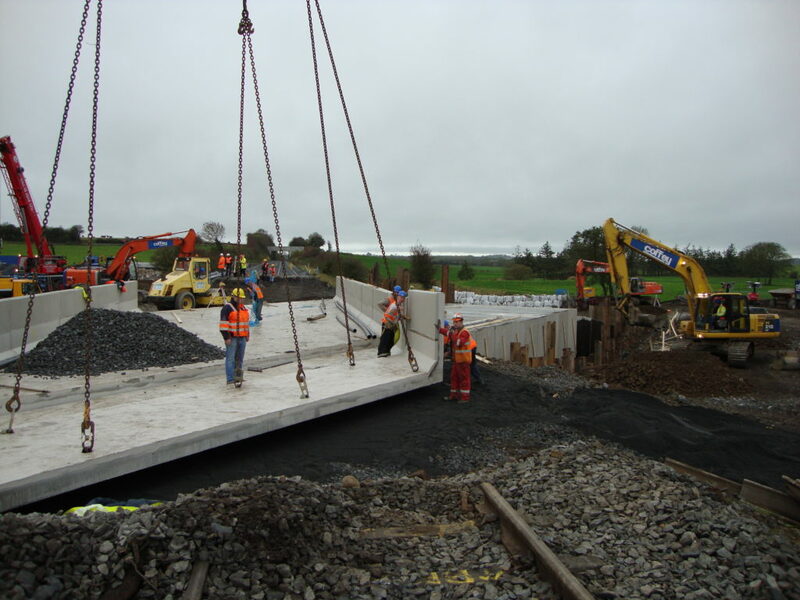 We were contracted directly by Irish Rail to manufacture and supply 42 precast culvert units, ballast retainers and various other precast elements to UB313 near Buttevant in County Cork. Due to their size the culvert sections were precast in ‘U’ pieces – a top unit and a bottom unit, to facilitate transportation to site. 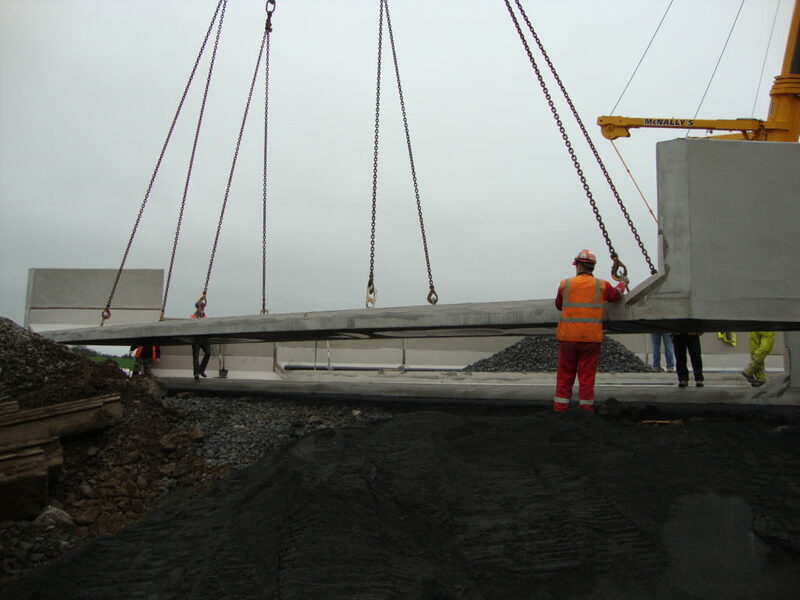 When the units were placed together on site they measured 6.5m wide by 4.8m high internally, each weighing 27 tonne. All the waterproofing was applied in our factory prior to delivery thus reducing the working hours required on site. 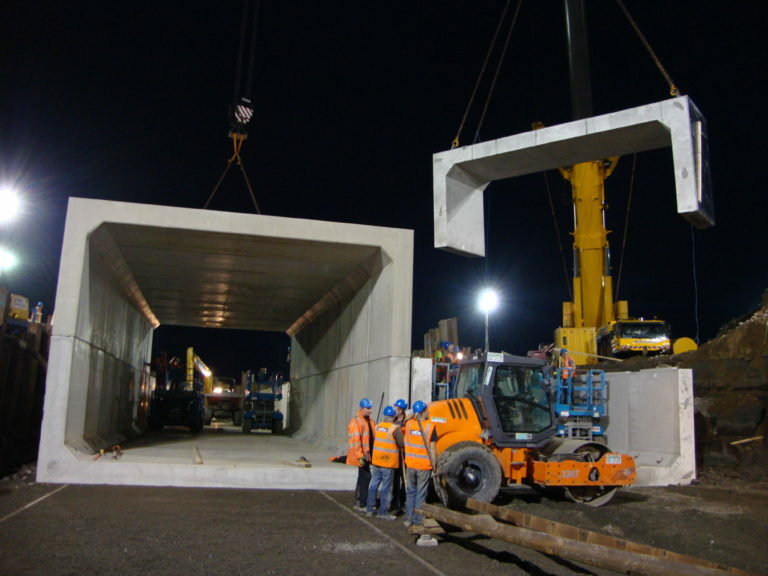 The programme was extremely tight and worked over weekends to ensure the units were delivered on time. 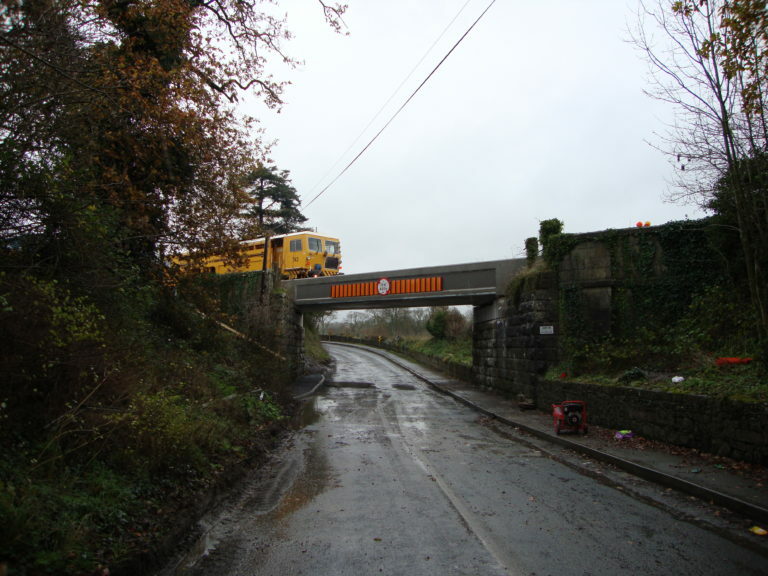 The replacement of the bridge was undertaken by Coffey Construction and was carried out over a weekend rail possession. There is a time-lapse video of the bridge replacement, which can be viewed by clicking the link below, and is well worth the look.